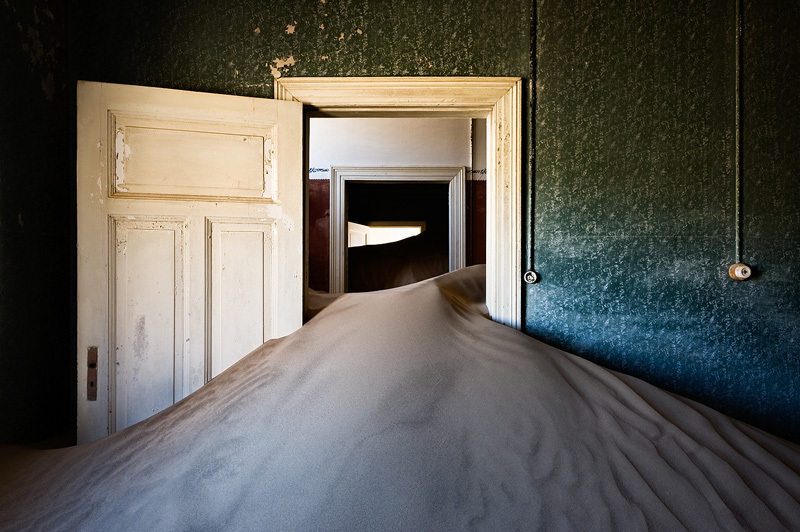 One of the most surreal places in Namibia is this deserted diamond mining town. It was abandoned in the 50's and the desert has been claiming back her territory ever since. It's a photographer's paradise. And the great thing is that the scenes are dynamic - they constantly change because the winds can be quite brutal here and the movement of the sand will change as a result.